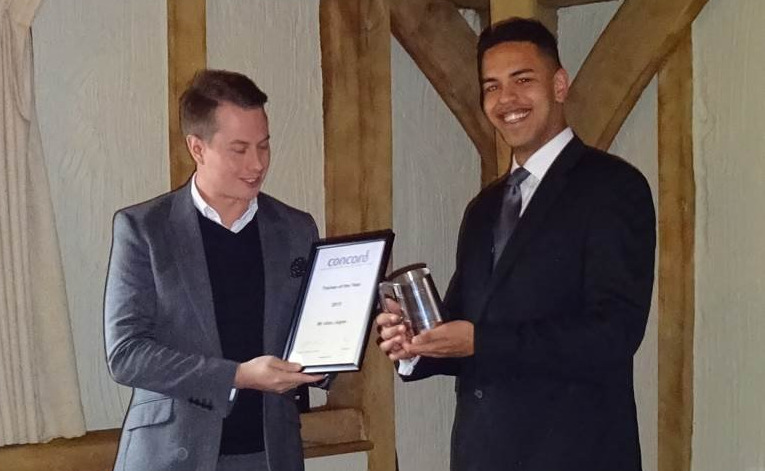 Proud winner of Concord Hotel’s coveted ‘Trainee of the Year’ award for 2015 was Alex Jagne, pictured here receiving it from newly appointed Concord Chairman, Gareth Davies. The annual event to celebrate the success of all its graduates was this year held at member hotel, Great Fosters, built as a royal hunting lodge in 1550 and located close to Egham in Surrey. Other graduates who attended the event were Beckie Latham, Tom Virgo and Max Neumann.